Orchis italica is a strong plant with a fairly stick stem and a height of 20 to 50 cm. The foliage leaves are elliptic-lanceolate and can be spotted or unspotted, the borders are often undulated. The leaves form a rosette at base. 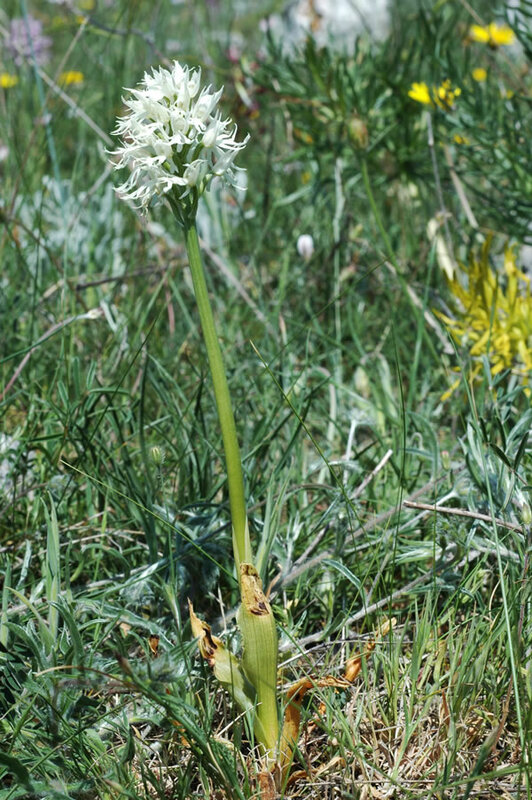 The inflorescence consists of 10 to 40 flowers, tightly arranged in a cylindrical inflorescence. The ovary of each flower is strongly contorted, the spur is about half as long and bented downwards, the bract is rather small. Sepals and petals form with dark purple-red veins. Sepals are rather long and acuminate. The labellum is deeply three-lobed with a middle lobe which is deeply divided into two secondary lobules separated by a tooth. Thus the labellum has five acute tips which are unregularly bent. The spur doesn’t contain any nectar, but the flowers are probably pollinated by insects. The plant was first described by the French botanist Jean-Louis Marie Poiret in 1798, published in the Encyclopédie botanique of Jean-Baptiste de Monet de Lamarck. This denomination is undisputed. H.Kretzschmar et al. 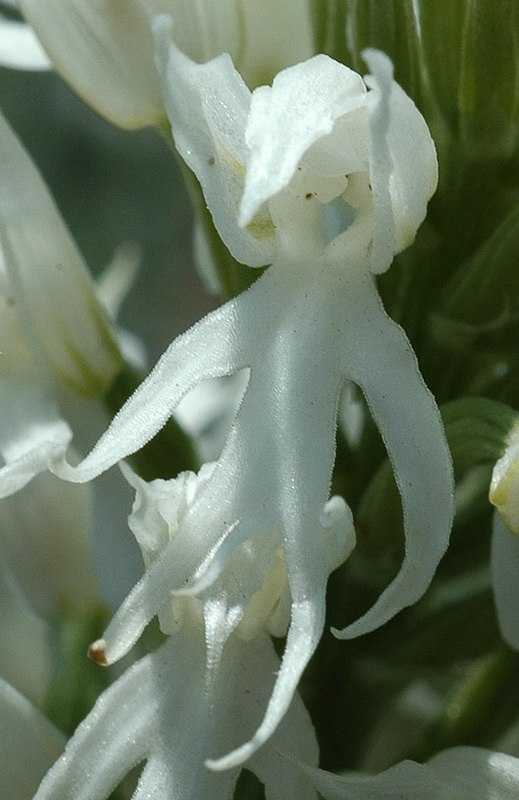 (2007) view Orchis italica as a section of its own, belonging to a sub-genus Orchis, together with Orchis anthropophora, Orchis purpurea or Orchis militaris. The flowers of Orchis italica are mostly light pink to purple. There are sometimes very light-coloured flowers or flowers with a white labellum and a rose coloured hood, but pure white blooming plants are quite rare. 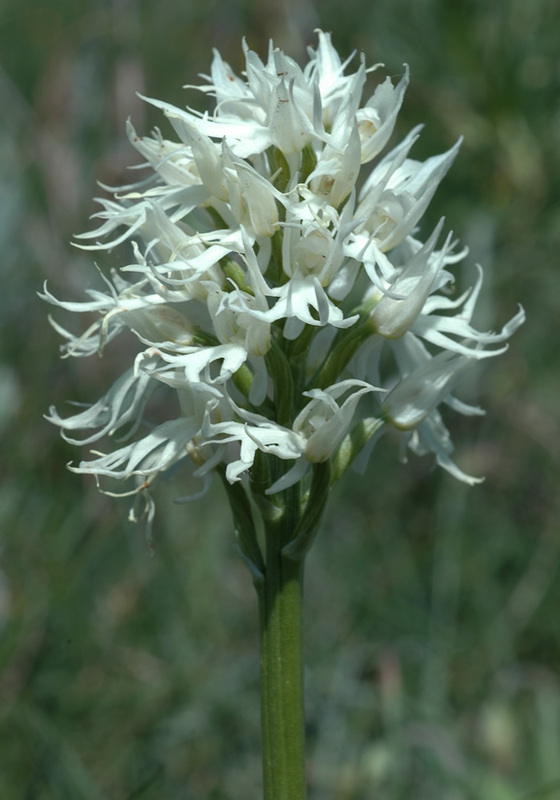 The white-flowered variant has been described as Orchis italica var. albiflora by Nicora ex Fiori & Paol. in 1896. Habitats are mentioned in Italy, Crete and Cyprus. 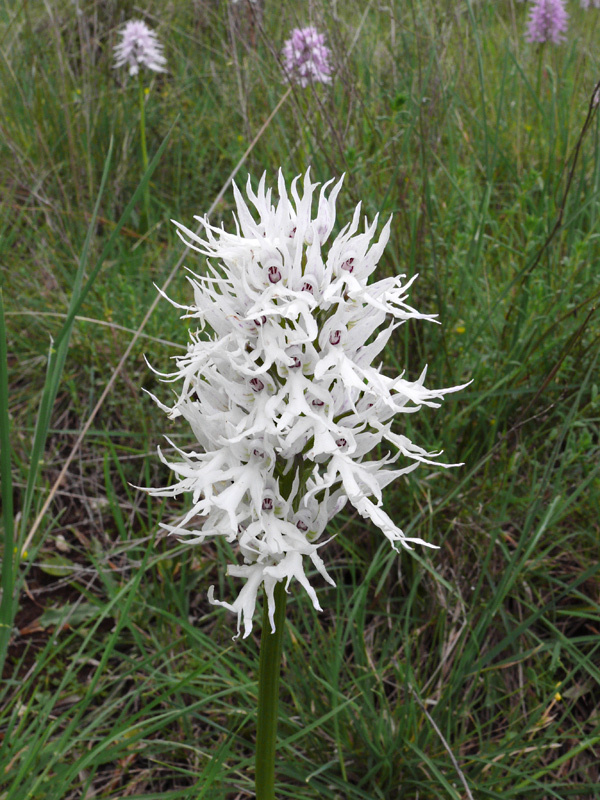 Orchis italica is growing on grasslands, up to 1300 m, as well as in macchia habitats on calcareous soils. Bloom is rather early from February to May. 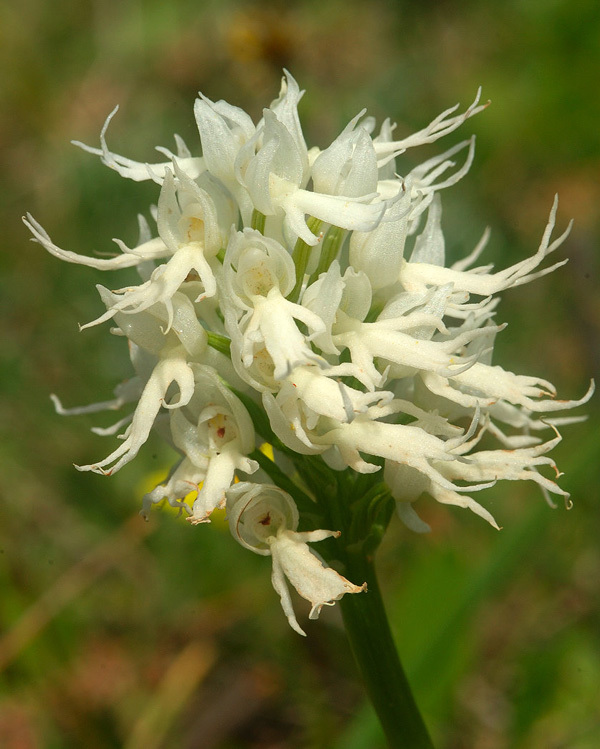 Orchis italica is distributed from Spain and Northern Africa to Italy, Serbia, Greece, Southern Turkey, Cyprus and the East Mediterranean coast.